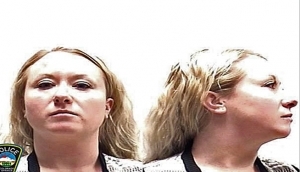 Friday morning Krystal Lee Kenney pleaded guilty to tampering with evidence in the Kelsey Berreth murder investigation. She will not be sentenced until the Patrick Frazee trial has finished. Patrick Frazee is Kelsey Berreth’s fiancé and is charged with killing Berreth. Keystal Kenney told a judge she learned Frazee had committed a homicide November 22nd. She said she then moved Berreth’s cellphone with the intent to impair the phones availability. Frazee is back in court February 19th for a preliminary hearing.